By Darren LaSorte, Manager, NRA-ILA Hunting Policy. When I was growing up in the 1970s, I shot as often as I could and never considered hearing protection. I recall when I was 5 years old, my father and his friend handed me a two-inch .357 Magnum and challenged me to hit a Montana coyote on the far hillside. I launched all five shots and, to the joy of my audience, came remarkably close to ending the coyote's rabbit-munching days. Needless to say, the experience left my ears ringing for a while and I wondered if they would ever return to normal. We hear the same story from countless hunters and shooters who might not realize that a lack of hearing protection can result in lasting hearing loss--until it's too late. Billions of dollars are spent every year in our healthcare system for hearing loss conditions, such as shooting-related tinnitus. Fortunately, the days of sophisticated electronic hearing protection are upon us. These little battery-powered marvels amplify the good sounds (range commands) while still providing a significant degree of protection. The truth is, however, that even with quality devices like these, shooting can still cause damage to our hearing. Sound suppressors attached to firearms (less accurately called "silencers" in federal law) are an additional tool available to help protect our hearing and are quickly gaining in popularity throughout the country. Although few may realize it, suppressors are not a new innovation. The Maxim Silencer Company opened its doors more than a century ago. Teddy Roosevelt is reported to have used one on his Winchester Model 94 at his Long Island home in order to avoid disturbing his neighbors while dispatching varmints. However, recent advances in technology and manufacturing capabilities have made them more available and appealing to the shooting masses. Unfortunately, too many Americans (including some gun owners) still fall victim to the unfair portrayals by Hollywood. Although "silencers" are almost exclusively put in the hands of James Bond or assassins on the silver screen, in reality suppressors are commonly used by hundreds of thousands of law-abiding citizens who appreciate the many benefits of reducing harmful sound. They are virtually never used in the commission of crimes today, and criminal misuse carries severe penalties. The sound-suppressing devices don't make firearms silent but they do help mitigate the otherwise damaging and disturbing noise. Our society is full of devices that muffle sound to prevent hearing loss and noise pollution--firearm sound suppression is no different. While American gun owners don't often point to Europeans as providing an example that should be followed, their use of suppressors is an exception. In many of the countries "across the pond," the use of these noise-attenuating devices is actively encouraged. Buying "moderators" (their term for suppressors) from a hardware store is often no different than buying a hammer or a screwdriver. They are not always subject to the same draconian regulation that they are here in the United States. A number of companies currently provide state-of-the-art suppressors to the shooting community, including SilencerCo/SWR (top), Advanced Armament Corporation (above) and GEMTECH (below). Firearms are usually defined as a weapon by which a projectile is discharged by gunpowder. Strangely, suppressors are also considered "firearms" in the United States and regulated pursuant to the 1934 National Firearms Act (NFA). In order to acquire a suppressor, a purchaser must complete the appropriate NFA paperwork, undergo a background check, find a licensed dealer authorized to conduct the transaction and pay a one-time $200 tax for each device. Recently, Michigan became the 39th state to legalize suppressor possession. The 11 states that prohibit their possession and use, along with many other states that bar their use during specific activities such as hunting, are essentially mandating that firearms produce as much inner-ear-destroying noise as they possibly can. This doesn't happen with cars, motorcycles, airplanes, air conditioning units, dishwashers, construction equipment or anything else that comes to mind. There is no logical reason for firearms to be singled out when it comes to our desire to make things quieter. While hearing protection during routine shooting practice is arguably the most important benefit suppressors offer to civilian shooters, there are a number of others that deserve mention. Without a doubt, they help many shooters increase accuracy. Humans have a primordial fear of loud noise that contributes to the most common cause of missed shots--trigger flinch. The less noise a gun produces, the less likely a shooter is to flinch just before the shot breaks. Felt recoil is another contributor to flinch and the weight of suppressors helps to reduce this. More accurate shooting in the field means fewer wounded and lost animals--a good thing for hunters and wildlife. Noise complaints are causing closures of shooting ranges, informal shooting areas and hunting lands throughout the country. This is a trend the NRA and its members spend untold resources fighting. Increased use of suppressors on ranges and hunting lands will work to decrease these detrimental complaints. It is worth noting that keeping his target shooting from disrupting neighbors was what motivated Hiram Maxim to begin the country's first commercial production of suppressors. In addition, the use of suppressors in a home defense scenario cannot be discounted. Shooting any firearm in an enclosed space, such as a hallway or small room, sends shock waves to your core. The tiny components of the inner ear get pummeled. Of course, prevailing in a life threatening scenario is the first priority, but it should not come at the cost of living the remainder of life with a significant hearing disability if it can be avoided. Finally, those of us who have tried and failed to find an adequate way to protect our hearing while hunting can benefit from suppressors, especially while hunting in a fixed location such as a stand or blind where the extra weight is not a detriment. My current practice is to rest plugs in my ears so that my ability to detect the sounds of approaching game is not hindered. As I consider a shot, I fully insert them. Of course, things occasionally happen too quickly for me to implement my best laid plans and damage is done. Use of suppressors in these instances would certainly reduce the probability of harm. 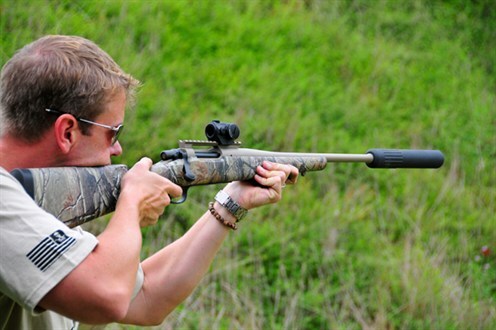 Some will argue that the legalization of suppressor use while hunting will increase the incidents of poaching, but the experience of the many states that allow the practice clearly proves them wrong. Would these opponents mandate the use of the .338 Lapua with a muzzle brake in order for shots to be heard from the greatest possible distance? Is the diminutive .243 Win. Simply too quiet? As one suppressor advocate in Montana asked earlier this year during the legislative session, should all bow hunters be required to sound an air horn every time they release an arrow in order to alert any nearby wardens? The reality is, the less muzzle noise heard by the non-hunting public, the better off we all are. 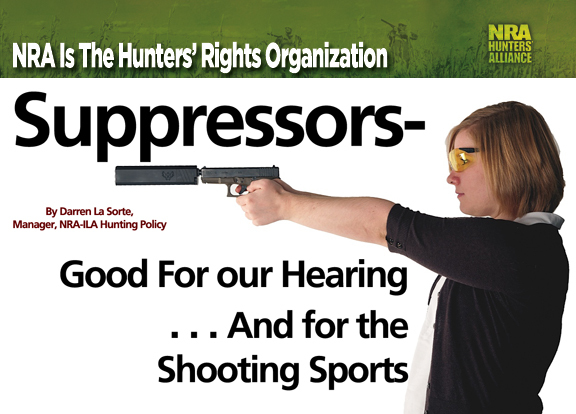 It's time that policymakers--legislators, wildlife commissioners and gun club board members--move to eliminate the laws, regulations and policies that discourage or prohibit suppressor use. In addition to decreasing the incidents of permanent hearing loss, it will help keep the shooting sports alive and well by decreasing the calls to close shooting areas and hunting lands. 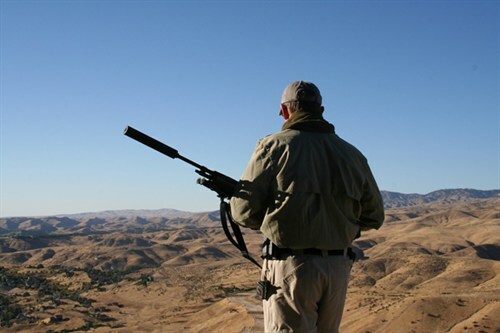 Suppressors may not be for everyone, but that's the best aspect of freedom--it is your choice.